This is not everyday pizza. It's not every-week pizza. It might not even be every-month, if you want to live to a reasonable age. But damn, is it good pizza. So good that it's worth a trip to Detroit just to taste it. So good that it's worth devoting months of time, weeks of research, and dozens and dozens of experiments to developing a recipe to duplicate it at home. So that's exactly what I did. Here's what I found. Using a high-hydration dough made with bread flour gives you pizza with a tender-yet-chewy, extra-crisp crust. Spreading cheese all the way to the edges of the pizza pan lets it melt into the edges, forming a crisp, browned crust. To Make the Dough in a Stand Mixer: Combine flour, yeast, and salt in the bowl of a stand mixer fitted with a dough hook attachment. Stir to combine, then add water. Mix on low speed until dough comes together into a rough ball, then shut off mixer and let rest for 10 minutes. Continue mixing at medium-low speed until dough forms a smooth, silky ball, about 10 minutes longer. (It should stick to the bottom of the bowl as it kneads rather than riding around the edges.) Remove dough hook, form dough into a tight ball, set in the bottom of the mixer bowl, cover tightly with plastic wrap, and set aside in a warm place until dough has roughly doubled in volume, about 2 hours. To Make the Dough in a Food Processor: Combine flour, yeast, and salt in the bowl of a food processor and pulse to combine. Add water, then turn on processor and process until dough forms a ball that rides around the bowl of the processor, about 30 seconds. Continue processing for 30 seconds longer. Transfer dough to a bowl, form a tight ball, cover tightly with plastic wrap, and set aside in a warm place until dough has roughly doubled in volume, about 2 hours. To Make the Dough by Hand: Combine flour, yeast, and salt in a large bowl. Whisk to combine, then add water and stir with a wooden spoon until a rough ball of dough has formed. Set aside for 10 minutes. Turn dough out onto a countertop and knead until a smooth, silky ball has formed, about 10 minutes. Transfer dough to a bowl, form a tight ball, cover tightly with plastic wrap, and set aside in a warm place until dough has roughly doubled in volume, about 2 hours. Pour a couple tablespoons olive oil in the bottom of a Detroit-style anodized aluminum pan or two 8- by 8-inch cake pans. (Split dough in half if using cake pans.) Transfer dough to pan(s) and turn to coat in oil. Press down on dough and spread it toward the edges. You won't be able to get it all the way to the edges; this is okay. Spread it as much as you can without tearing, then cover tightly in plastic and set aside for 30 minutes to allow dough to relax. Return to dough and stretch it out again. It should be able to reach the edges this time. If not, let it rest a little more and try again. To get the dough to stay in the corners, stretch it up beyond the corners so that it pulls back into place. Once dough is stretched, cover again and set aside while you make the sauce. For the Sauce: Adjust oven rack to lowest position and preheat oven to 550°F (290°C), or as close to it as your oven gets. Heat 2 tablespoons (30ml) olive oil in a medium saucepan over medium heat until shimmering. Add minced garlic, oregano, and pepper flakes and cook, stirring, until fragrant, about 30 seconds. Add tomatoes, garlic powder, onion powder, and sugar. Bring to a simmer and cook until reduced to about 3 cups, about 30 minutes. Season to taste with salt. Transfer to oven and bake until edges are black and bubbly and exposed cheese on top is starting to lightly brown, 12 to 15 minutes. Transfer to a trivet or folded kitchen towel on countertop. Run a thin metal spatula all the way around the edges of the pan to loosen the pizza. Carefully lift it out and slide it onto a cutting board. Cut pizza and serve. Brick cheese is a high-fat aged cheese from Wisconsin. It has a buttery flavor and browns very well, giving Detroit pizza its distinct flavor. You can order it online from Amazon. If it's unavailable, you can use a combination of Jack or young cheddar and low-moisture mozzarella. For best results, use a Detroit-style anodized aluminum pan like this one. If you can't get your hands on that kind of pan, you can split the recipe into two square 8- by 8-inch cake pans. 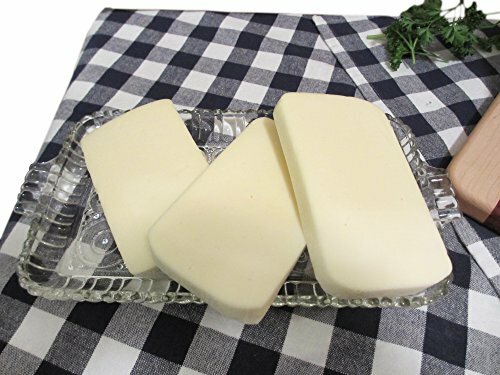 Brick - Wisconsin Cheese - Mild Brick Cheese 8 oz.